Dr Peter Friis qualified as a medical practitioner in 1982 from the University of Queensland. He was introduced to Sports Medicine by Dr Kevin Hobbs, one of the founding members of Sports Medicine in Queensland. 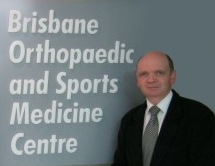 Dr Friis has worked at the Brisbane Orthopaedic and Sports Medicine Clinic (BOSMC) as a Sports Physician since the clinic was founded in 1989. He undertook postgraduate training and participated in teaching roles with the Australian Sports Medicine Federation. The Australian College of Sports Physicians was founded in 1986 and Dr Friis became one of the inaugural Fellows of that Association in 1991.